West Midlands transport authority Centro is ‘set to petition the Government to ensure links between HS2 and HS1 remain part of the plans for the controversial £50 bn line’, Transport Network reported (28 March 2014). On Monday Centro is expected to approve the motion to call on Government to keep and improve planned links between HS2 and HS1 – the railway between St Pancras in London and the Channel Tunnel – in the Government’s HS2 Hybrid Bill. Transport secretary Patrick McLoughlin recently vowed to scrap the £700m plans for a HS2 – HS1 link in London, following the recommendations of HS2 Ltd chair Sir David Higgins’ new report. 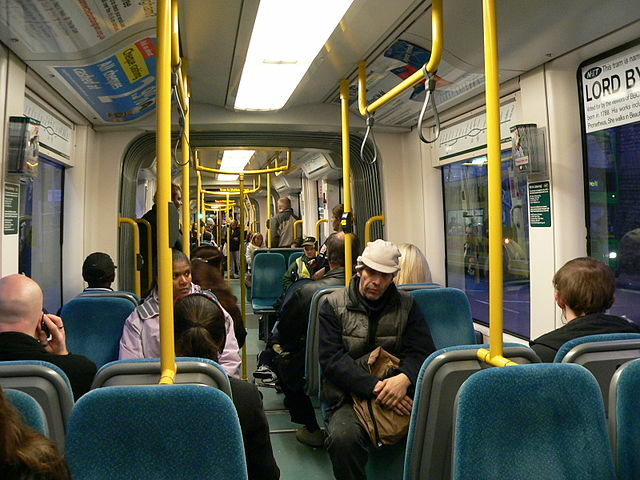 Centro is supposed to be concerned with the transport requirements of people in the West Midlands. So why should it be lobbying for a boondoggle multi-billion pound double track HS2 to HS1 link in London? Having described David Higgins’ flimsy ‘HS2 Plus’ report as “substantial, thoughtful and thorough” on 25 March, Shadow transport secretary Mary Creagh has now questioned whether the project is “the right way” to spend billions of pounds of public funds. In a further sign of Labour’s deep divisions over the issue, Ms Creagh said HS2 has not been discussed by the Shadow Cabinet since she took over the transport brief last October. The places in Britain most in need of regeneration are not the Core (and HS2 Station) cities of Birmingham, Manchester and Leeds. It’s the scores of industrial towns in the regions around them which have lost their old economic base and are struggling to find a new one, wrote Prof Peter Hall on The Conversation. As a result, a split is developing between the core cities and other places such as Wakefield, Bradford, Burnley and Blackburn. There’s a risk that these secondary and tertiary towns and cities might even be worse connected to the rest of the country than they are now if left out of the HS2 project. a second Crossrail line should be built to serve Euston. HS2 is supposed to be designed for fast business travel, yet would only provide direct access to a handful of city centres. How many business people would really want to ride on a tram from say, Nottingham to Toton (~40 minutes), just to catch a HS2 train to London, must be open to question. As can be seen from Nottingham’s Incentro tram interiors, personal working space on trams tends to be quite restricted by comparison with intercity rail. As Prof Hall said, HS2 regeneration is likely to be limited to a small circle around high speed stations, and towns like Wolverhampton, Hartlepool, Bradford, and Hull are unlikely to benefit. There is no plan for them to be served by direct HS2 trains, but even if there was, the overall economic impact might not be discernible. Margate and Ramsgate already have ‘direct’ HS1 services, but their problems seem too complex to be solved by a slightly faster train to London. Prof Hall does not appear to have given any indication of the cost of all the additional measures he favours. The sums must run into billions. Just interlacing GW and HS2 tracks for cross-platform interchange might add perhaps £500 million to the cost of the Old Oak Common station. Daresbury resident Pete ‘The Hitman’ Waterman told tourism chiefs about the £50bn HS2 high speed rail project at a conference in Chester, the Chronicle reported (27 March 2014). Domestic HS1 trains in Kent run largely empty in the off-peak, because there is no incentive for the operator [Southeastern] to sell unoccupied seats (as it is handed subsidy on a supersize plate, it doesn’t need the hassle). But according to Mr Waterman, the excess capacity on HS2 would mean there would be “lots of deals to be had”. He also suggested that the original plan for HS2 “missed” Crewe, and had been changed. Had it not been, it would have meant “the end of the North West”. “Five years ago when I saw the first map for HS2 and it missed Crewe by 21km, I thought ‘My God, this is the end of the North West’, which is why I joined the LEP (Local Enterprise Partnership) and why I’ve been working with the DFT (Department for Transport) and joined the treasury team to make sure that they understood this is the second biggest part of our economy and it’s still the best and most under-performed. Mr Waterman also appeared to think that Network Rail’s ‘Northern Hub’ scheme (last estimated at around ~£600 million) was a rather bigger scheme than it is. As an example, he said £3.2bn was being spent on the ‘Northern Hub’, improving the service between Leeds and Liverpool, with a second phase enhancing the Manchester and Liverpool route via Warrington.